I am proud to announce the release of Escapes. All-natural soy candles that allow you to Escape through your senses to a calm, serene dream. The Spring debut of Caribbean Dreams, Hawaiian Isles, Apple Orchards, Strawberry Fields, and Watermelon Patch will all allow you to travel wherever your senses allow you. 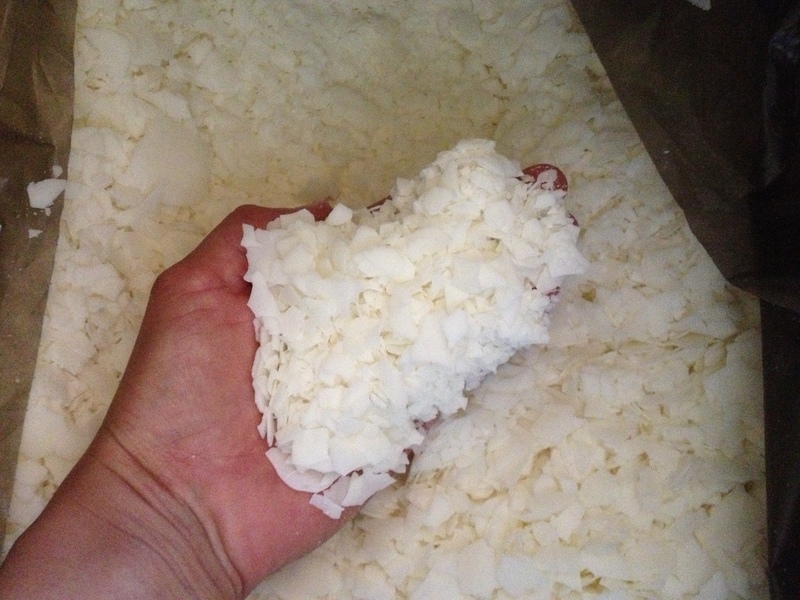 Escapes are made with natural soy flakes, strong aromatic scents, long lasting wicks, and then poured into tea light holders and the larger jelly, tureen, and tumbler jars for a relaxing, clean look. These candles are Paraffin (petroleum based) FREE! They are ideal for people with allergies and for those who enjoy a clean and “green” burning candle. The burn time for each 8 ounce candle is over 28 hours. I have tea lights on sale for $1 each and the Time Traveler’s Escapes Pack (1 tea light of each scent) for $5. 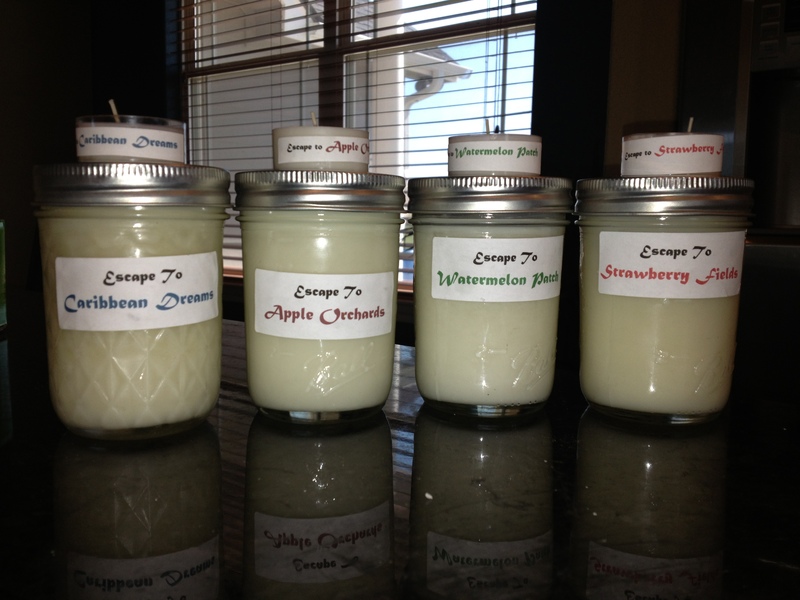 The 8 ounce Escapes candles are $8 each. The average cost for 3-5 day shipping if you order 2 to 3 candles is $5.80. This will vary per zip code and how many candles you order, so please email me with your address and which candles you want for more accurate pricing. I will respond with the correct amount. You can also contact me via my contact info on the main page, if you prefer that form of communication. Below are pictures of the candles with their amounts that I have available now. I will update once I make candles in the other styles of jars. I accept payments through PayPal. Simply “Send Money” to crabsjuicenstuff@ymail.com. Enter the amount I sent back via email, and once the money is sent, I will mail out your package the same day if you order before 3:00 P.M. CST.